Maybe they wash the bottom of their shoes off upon entering the train and before sitting down. This morning I went to take a seat and it was filthy, along with its neighbour. 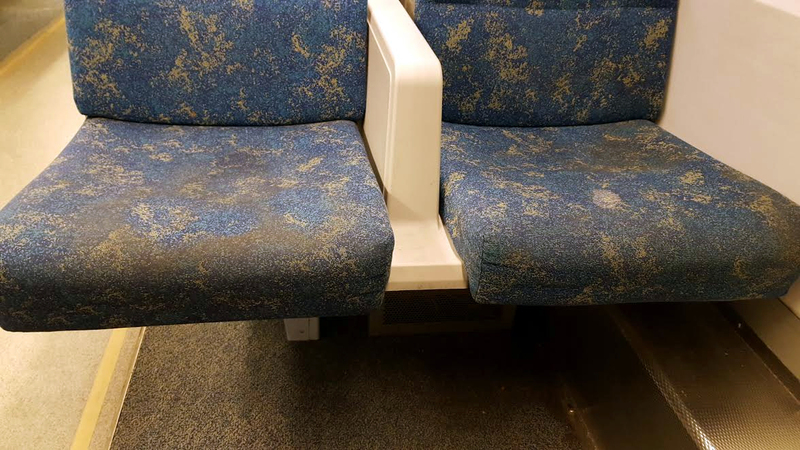 So I moved across the isle and those seats were also filthy. Thank goodness I was early so I had the luxury of being able to move around.